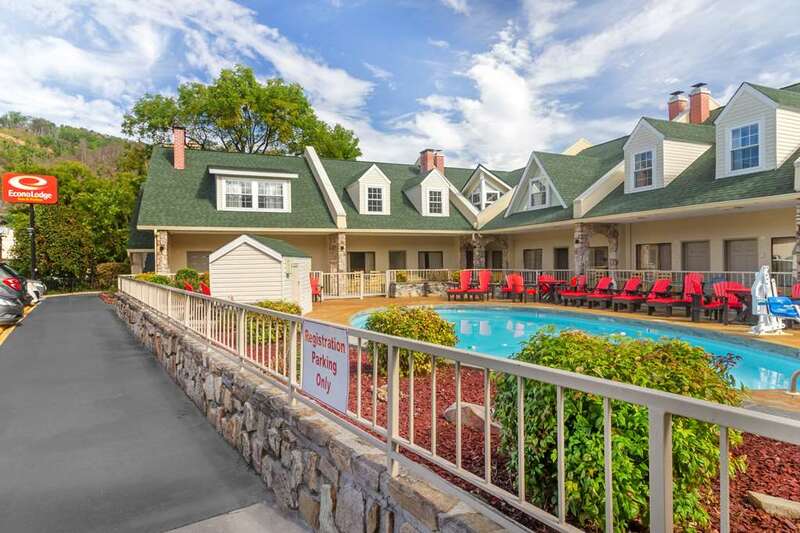 The Econo Lodge Inn and Suites at the Convention Center in Gatlinburg, TN is an easy stop on the road. Nearby destinations include Great Smoky Mountain National Park, Ripleys Aquarium of the Smokies, Gatlinburg Space Needle, Ole Smoky Tennessee Moonshine Distillery and Rocky Top Sports World. The Gatlinburg-Pigeon Forge Airport is also close. Enjoy amenities like free continental breakfast, free continental breakfast and seasonal outdoor pool. Guest rooms include a flat-screen TV, refrigerator, microwave, coffee maker, iron and ironing board. Also, earn rewards including free nights and gift cards with our Choice Privileges Rewards program. Verify location. There are two Econo Lodges just one street apart. One free parking space per paid room additional cars can be parked in paid parking lot adjacent to the hotel for $10.00 USD per day.